Thousand Lake Trek is the short trekking in Bhutan. Though trekking is short in duration the plethora of natural attractions make your trip a memorable one. 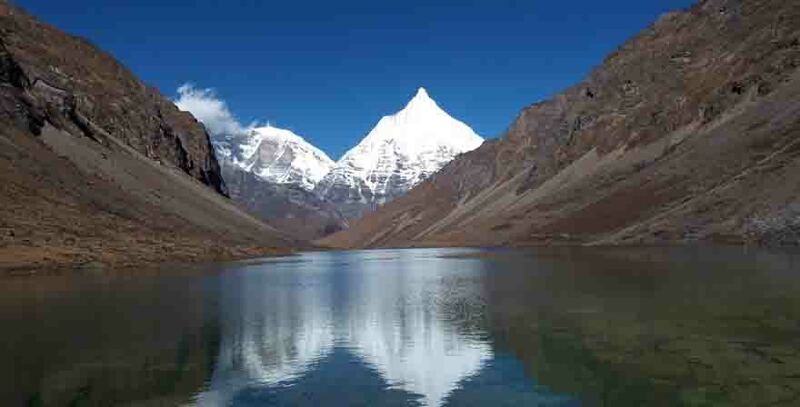 Bharal Adventure offers a magnificent package to witness the spectacular Lakes of Bhutan. The journey of A Thousand Lake Trek starts from Paro the city of Bhutan. 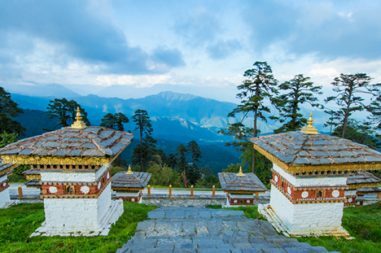 Once you have landed in Paro the beautiful places like Monasteries, bridges and national museum visit as part of sightseeing welcome you to this glorious dragon kingdom. If you are searching for the trekking in Bhutan with the astounding Himalayas views then this is the one. 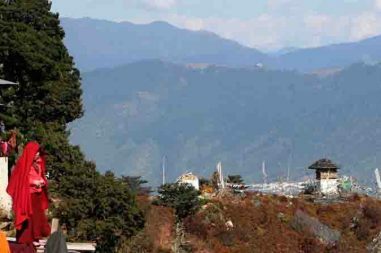 Trekkers can have the splendid view of the mountains like Kanchenjunga and Bhutanese Himalayas. Less explored trail provides tranquility and pristine atmosphere. The journey is somewhat strenuous compared to other touring or trekking activities in Bhutan. The first two days of the trekking can be challenging from Gynekha to Gur and up to Labatama. The strong desire and will power worth the millions as you will witness the heavenly beauty of nature. Trekking passes by the village of Gur and moves forward to Labatam crossing the rugged beauty of nature and rejoicing meadows towards Labatama. In Labatama we spend another day too for the hiking towards the three lakes of the region Rli Tsho, Hen Tsho and Jama Tsho. There are plenty of activities to do in this place. You can enjoy and relax by doing some trout fishing in the area too. The strenuous climbing while coming to Labatama gets banished once you do these activities. 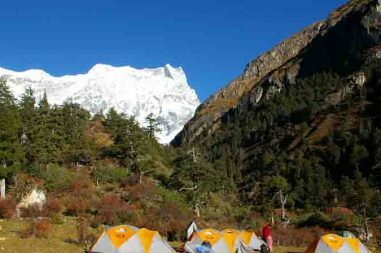 While trekking towards the Pangkha from Labatama you will witness the Himalayas as far as Everest of Nepal, Kanchenjunga of the Sikkim side, Jomolhari, Tsende Gang, Jichu Drake and other Bhutanese Himalayan ranges. The journey finally ends in Paro passing by Cherigang and Thimpu. Book the magnificent trekking or tour packages of Bhutan with the experienced team of Bharal Adventure. A Thousand Lake Trek in Bhutan is your ultimate holiday package to witness vegetation, birds and Himalayas of this small dragon kingdom. Paro – Genekha-Gur (Trek start) 15km, 4 hours. Gur – Labathamba. 12km, 5 hours. Labathamba – Pangkha. 8km, 4 hours. Pangkha – Cherigang. 10km, 6 hours. Cherigang – Thimphu (Trek end). 6km, 2 hours. The joyous flight to Paro presents the splendid View of Mountains. Once you have landed in small dragon kingdom in Paro International Airport Bharal Adventure Representative will take you to the hotel. If you are travelling from Nepal then our representative might accompany you to Bhutan from Nepal itself. Afternoon will be filled with the sightseeing of museum and Rimpong Dzong. The strolling around the Cantilever bridge over Paro Chhu can be fun as well. The glorious day of sightseeing in Paro formally takes place today. The drive to northern end of Paro Valley for the amazing hiking to Tiger Nest Temple takes place. Tiger Nest is the famous and symbol of national identity of Bhutan as well. The temple is on the vertical cliff above 900m from its foothill. This two hours of hiking helps to acclimatize for next day’s trekking. While returning back the historical Drukgyel Dzong and Kichu Temple are visited to pray for the best journey ahead. The trekking starts from the village Genekha. The scenes of the numerous different vegetations and alpine forest environment along with animals and birds on the trail welcome you on the trail. The continuous uphill walking takes you to the beautiful Gur Village for the overnight camping. If the season is spring you will see abundance of flowers around Gur. This is probably the most beautiful day of trekking. If you are travelling in spring season then if would feel as if you are walking on the flower carpet. The asparagus and other small herbal plants can be seen on the trail. The crossing of the first pass takes place here which gives spectacular view of the Dagala range. Alpine Meadows and Yak Herders camps too can be seen from this place. Walking along the meadows the journey ends at Yutsho Lake. This is the acclimatization day in Labathamba. The hiking trip will take place towards lakes as well as high altitude pass. If climate permits the view of Mt. Kanchenjunga which is world’s third highest mountain can also be seen. Apart from Kanchenjunga you can see Mt. Jumolhari which is the highest mountain of Bhutan. Just about half an hour of uphill and total downhill trekking takes place in this phase of trekking. While descending trekkers can see the beautiful view of various Himalayas like Kanchenjunga, Jumolhari, Tserimgang, Masagang, Everest and others. The trip ends in Pangkha. This is the trekking day full of crossing the passes. While crossing these passes trekkers enjoy the blue poppy flower, mountain birds and some animals too. The last ridge of the Dagala region is climbed in this trail from where one can see spectacular view of Thimpu Valley. The trip for the day ends in Cherigang. The journey is very easy and beautiful. The walking on the trail full of varieties of vegetation and orchards make it even more spectacular. Once you have reached the motor able road then vehicle will transport you to Thimpu. After lunch the sightseeing of the memorial Chorten, Changangkha Jhakhang and Buddha Statue takes place. Bhutan still practices the traditional week end market. The morning walking around these markets for the observation of various handicrafts, paper mills and craftsmanship can be informative. The visit of the heritage folk museum and national library takes place before you travel towards Paro. The day’s trip ends in Paro. The amazing Bhutan trekking and tour ends once we bid farewell to our Bhutan Partners. You can continue your holiday in Nepal or you can take flight back to your country. Bharal Adventure is always there for the best arrangement of your holidays.